Warm weather means more than just sunlight. It means fresh air, spring flowers, and fresh fruits and veggies. In order to make the most of the warm weather, why not try something new this year? Starting a garden can be a fun adventure, especially with all the ways you can customize it to make it your own. 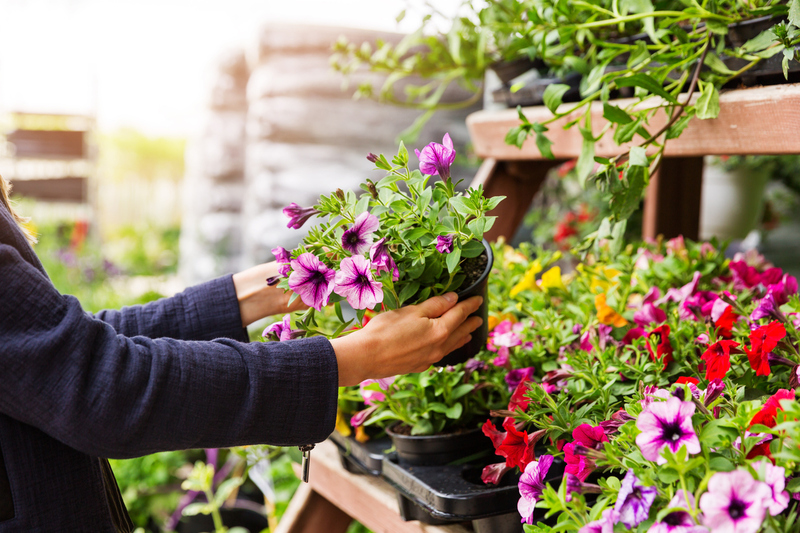 From choosing which types of vegetables you want to plant to visiting plant nurseries, you’ll be able to expand your garden knowledge and gain that green thumb you’ve always wanted. The final product? A beautiful garden to be proud of that produces gorgeous flowers and delicious fruit. To get started, visit local plant nurseries in the Owensboro area. At Watkins Nursery, you can get more than just plants and flowers. You can choose from a variety of deciduous trees and shrubs. Watkins Nursery is a family owned and operated nursery first established in 1940 by Leroy Watkins. Offering over 1000 shrubs, plants, trees, and conifers, the Watkins Nursery provides customers with plenty of options to make your garden or yard unique. While at Watkins Nursery, you can grab mulch and potting soil to help grow your plants and flowers. With low prices on popular flowers, you won’t regret stopping by Watkins Nursery. Visit their website to learn more about planting instructions and other helpful tips. Looking for fresh fruit, fresh vegetables, and plenty of plants? Marlene’s Garden Center is also a family owned and operated business that provides customers with all of these things, plus mulch and flowers. Spruce up your garden with unique concrete statues, also available at Marlene’s Garden Center. Create the garden of your dreams with all the beautiful plants and flowers offered at Marlene’s Garden Center. With all the things Marlene’s Garden Center has to offer, you can create a Wonderland for everyone to see. Start seeds indoors before planting outside. Be sure to have all of your garden tools accessible to you. Plant shrubs and trees early so they can get a jump start. Remember to spread new mulch. Be sure to remove weeds since you don’t want any unwanted visitors in your garden. Choose a dependable location and solid soil. Always remember to prune and trim. Help keep insects away by planting onion, chives, and garlic in your garden. You can also plant citronella plants to repel mosquitoes. Go organic! Use organic fertilizers whenever possible. Add kitchen herbs to your garden such as dill, mint, parsley, and basil. Have fun and try to plant something new every year. The only smell better than fresh air? The infamous new car smell. After you’ve visited Watkins Nursery and Marlene’s Garden Center, stop by Don Moore Automotive. Our inventory of vehicles might not be as beautiful as nature, but they come close. Our selection includes cars, trucks, and SUVs, all pre-owned or new. Visit us today to see our stock of vehicles in person. While you’re here, you can take a test drive and experience the new car smell for yourself. We also offer a variety of deals and specials, so come see us to save big.